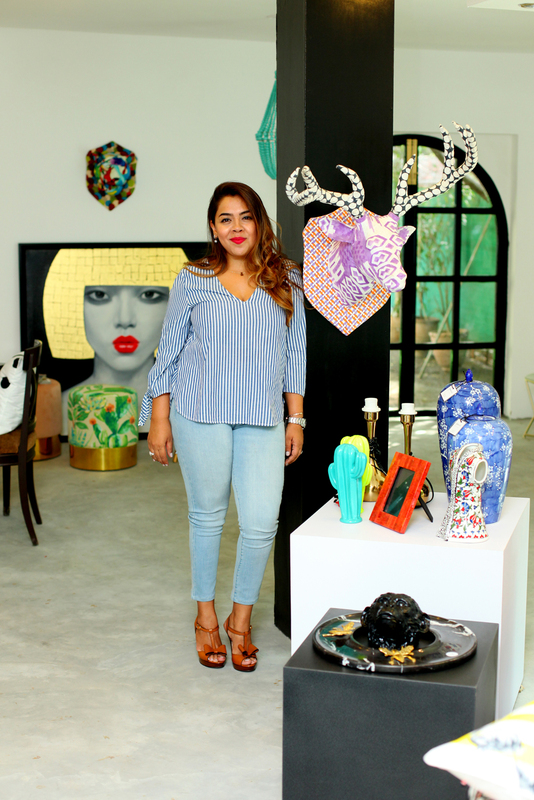 Anusha Bawany chats with the hottest new interior decorator in town about all things style. Have you always been into interior designing? Tell us about your educational and professional background. I’ve been into design for as long as I can remember! However, it was more a passion and hobby and hadn’t been my career path before earlier this year. I have a Masters in Management and Bachelors in IR and Economics and I spent the last ten years being a corporate slave – so, very far from anything design related! When did the idea to open your own studio come about? What was the inspiration behind it? I started Spaces, which offers home design and space consultation services, back in January this year. The work and momentum picked up, so I needed a place to meet my clients as well as place my team of workers, while brainstorming I decided that my ‘studio space’ could also double up as a concept store of sorts. 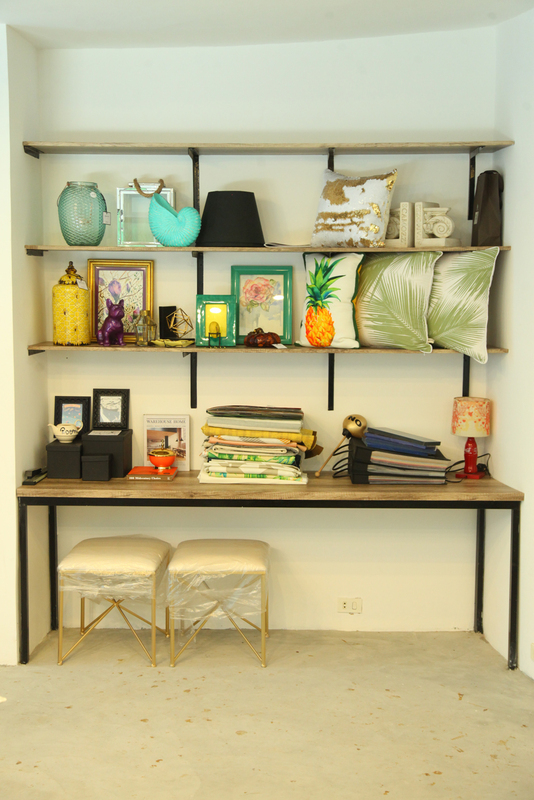 The inspiration was just to have a happy, simple workspace with pops of colour and clean lines. Minimal, colorful, comfortable. Think books, pop art, symmetry, evergreen trees, rainy days, high ceilings, and hints of pink and emerald green. Any funny or memorable stories from when you first started doing up the studio? We opted for a very industrial, unfinished cement look on our floor (which, btw, took forever to perfect) and the day that the floor was done, there was a mango bug infestation! I’m from Karachi and have never seen these awful creatures, but I couldn’t do anything about it. As annoying as it was, I just had to deal. Do you have any decorating rules to live by? Rules you love to break? I won’t lie, although I love the irreverence of tossing the design rulebook out the window, there are some rules that are worth following for statement interiors. Always mix textures and take risks with your home accessories and don’t forgo function. I would suggest that one should always seek symmetry in their spaces. However, this is one rule I love to break; sometimes the right angle for the chair or the mismatched leveling of the wall art can really make a room. You do. 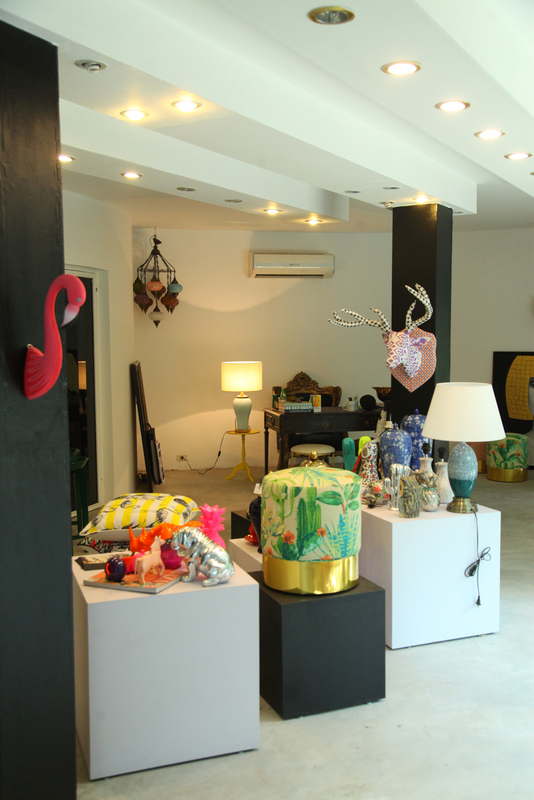 The trinkets you add, the personal aesthetic that emits from your art choices, those will add to your home. The form of the house never matters as much as what goes inside. What do you think is the biggest mistake people (especially young people) make when decorating their house for the first time? They get overwhelmed by what’s around them and who has what. Or, they try and over clutter and make everything into a statement piece. People really need to develop and respect their own aesthetic and stop chasing what others have or what’s trending. Do you have a favourite nook in your home? I just moved into a new space a few months back, so really, every nook is my favourite these days. Tell us a little about your process. how you go from taking your vision to executing it? For me, the most important step is understanding my client’s aesthetic and design needs. I often ask my clients how they want the room to feel, and from there I make a mood board and we together take it from there. Do you have any one item/piece that you’re very sentimental about? The first sofa I ever made! It’s in my living room and it’s a super comfy, sleek, grey velvet four seater. It was the first piece we manufactured ourselves and since then I’ve made several versions of the same. Have you ever had buyer’s remorse? If there was one piece you could get rid of now, what would it be? A massive painting I got earlier this year. It was perfect at the gallery but not so perfect in my home. If you could take three pieces from your home with you on a deserted island, what would it be and why? My bed (the comfiest), my favourite painting, and all my coffee table books. What colours, textures and materials do you gravitate towards most? Earth colours, velvet and brass. What are some interior design trends you love these days? What is a trend you are ready to see die? Blush pink and interior inspiration from Wes Anderson’s signature stylized film sets is still topping my interior trend list. 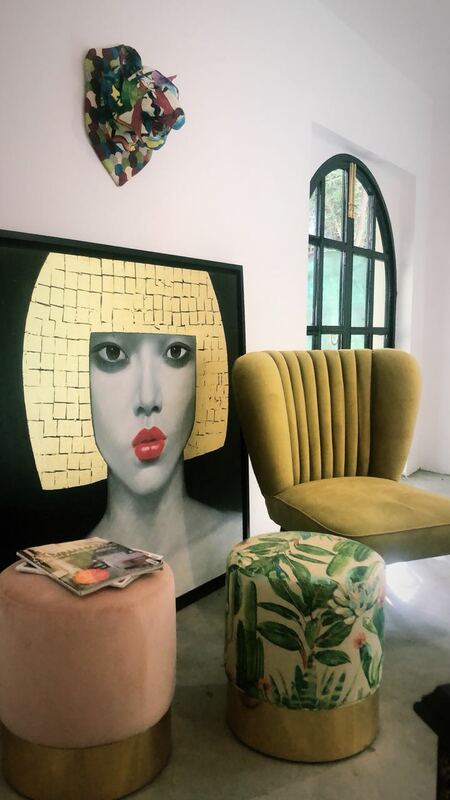 I love candy pink accents and 20’s inspired patterns and I normally gravitate towards artwork that is mid-century modern. I think it’s equally important to make a space emit positive vibes (think colouring your bedroom happy, or creating a space that boosts your mindset). A trend I’m done seeing – oh I’m SO over granite all over and all white kitchens. There’s so much fun stuff happening! From designing cool fashion sets, to fun workspaces and studios, it’s hard to say what the next ‘big’ project is. However, I have recently made a pitch to decorate an entire ten bedroom house, so let’s see how that pans out! Previous articleMarina Home Takes Over Multan!